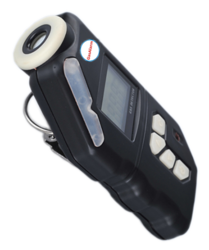 We are acknowledged among clients for manufacturing, exporting and supplying a superior quality range of Mechanical Pressure Gauges, Gas Leak Detector, Airflow Instrument & many more. Besides, we provide services for the same range. 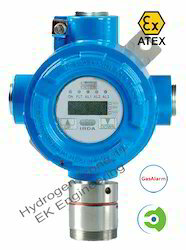 Providing you the best range of Formaldehyde Sensor (Toxic), Transmitter, Detector Analyzer, Hydrogen Chloride (HCL) Sensor, Transmitter, Analyzer, Hydrazine (N2H4) Sensor, Transmitter, Analyzer, Detector, Freon Refrigerant Sensor and Silane (SiH4) Sensor, Transmitter, Analyzer with effective & timely delivery. Intelligent Gas Alarm offers world-class solutions and products from German manufactuers - Fischer mess technik and Beck sensor for differential pressure monitoring for air, water, liquid, sewage, diesel, chemical, spirit, petrochemicals, waste water etc for safe and hazardous area with ATEX, ICE, Ex certifications. We supply these products to companies like Emerson, Siemens, Johnson, NTPC, BHEL, Gujrat Foils etc. 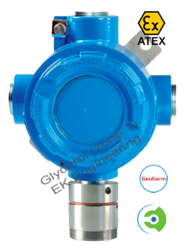 GasAlarm India offer gas sensor, detector, transmitter products for continuous, online monitoring of all toxic, flammable, combustible gases, oxygen for safe area, zone 1, zone 2, hazardous area, flame proof (FLP) housing / products for all type of industries including steel, landfill, food, biotechnology, pharma, building, parking ventilation, automobile, coal mines, chemical, petrochemical etc. We offer these products to SAIL, NTPC, BHEL, DRDO, GNFC, HONDA, DENSO, ZYDUS, HAL etc. 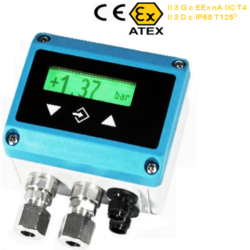 Intelligent Gas Alarm offers world class solutions and products from German manufactures - Fischer Mess Technik and Beck Sensor for air and liquid flow measurement and monitoring for Air, Water, Liquid, Sewage, Diesel, Chemical, Spirit, petrochemicals, Waste Water etc for safe and hazardous area with ATEX, ICE, Ex certifications. We supply these products to companies like APGENCO, NTPC, BHEL, Gujrat Foils etc. 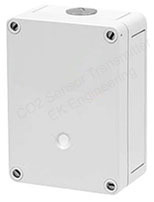 Intelligent Gas Alarm India offer gas analyzers system for various toxic and combustible gases for applications like Landfill, Stack, Plume Gases, Ambient Air Monitoring. 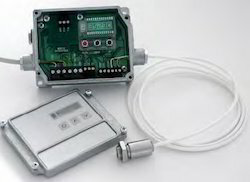 We are a topmost company in the manufacture, supply, export and service provider of Air Monitoring System. 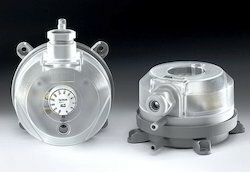 These systems are manufactured by supreme quality components. 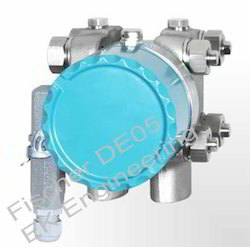 These system have long functional life and have international standard quality. These are highly demanded in latest market due to their high durability and reliability. In addition to this these have very reasonable price. Intelligent Gas Alarm offers world-class solutions and products from German manufactures - Fischer Mess Technik, Greisinger, MSR Electronic for temperature monitoring for Air, Water, Liquid, Sewage, Diesel, Chemical, Spirit, Petrochemicals, Waste Water etc for HVACR application and industrial applications for safe and hazardous area with ATEX, ICE, Ex certifications. We supply these products to companies like APGENCO, NTPC, BHEL, Gujrat Foils etc. Providing you the best range of Oxygen Measuring Transducer For Dissolved Oxygen In Liquids, Liquid, Water PH Sensor Transmitter, Conductivity, TDS, Specific Resistance Measuring Transmitter, Liquid Water Redox Measuring Transducer and Electric Actuator with effective & timely delivery. 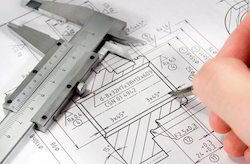 Our company has gained expertise in offering Engineering Services such as Design & Engineering Services. Our services are executed in a timely manner. In addition, these can be availed at very economical prices.